Woo-hoo! Here it is! 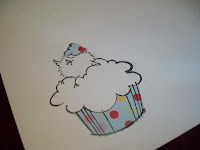 Merry Muffins is the new Stampendous stamp set that is only available at eclectic Paperie. You can only get it HERE and it's perfect for any occasion, especially the upcoming fall and winter holidays. 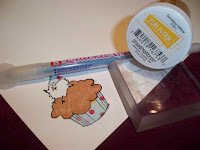 We also have an eP bundle called "Merry Mix" that includes the Merry Muffin plus some fun products to help you embellish the bits and pieces in this stamp set. 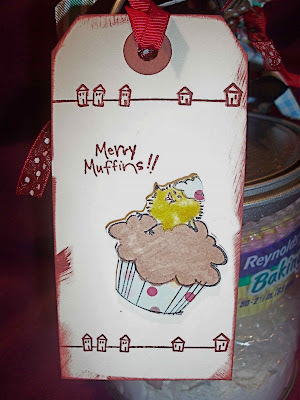 When I first saw this stamp set, I quickly thought of how muffins are such a great gift idea for the fall and winter holidays. All those yummy flavors like cinnamon spice and blueberry muffins sound so good with a cup of coffee in the morning or mid-day snack. 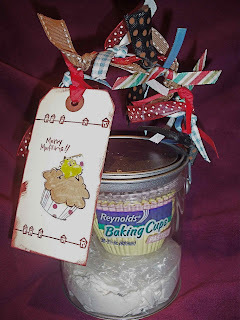 I had this idea to make some quick and easy hostess-type gifts using the Merry Muffins stamp set. I cheated for the sake of time and bought a packaged blueberry mix at the grocery store. Grabbing a quart acrylic paint can(Stampendous), I took a baggie and emptied the contents of the blueberry mix into the baggie and then put that into the paint can. The packaging was cute enough so I also cut out the directions and slipped it into the can. 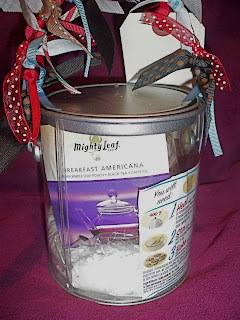 Adding some baking cups and some flavored tea to the paint can filled it up for a fun gift giving package. I was now ready to make a simple tag to attach to the paint can. I went ahead and stamped a bunch of images so I could use them later. Merry Muffins has lots of bits and pieces so combination are endless. Paper piecing added some color and dimension to the image. I even added a little paper piece(Tickle Dot paper by Daisy D's) to the chick's little cone hat. 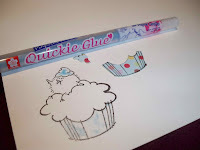 That Quickie Glue pen is perfect for getting adhesive in those small and tight spaces. The chick was screaming to be flocked so I reached for the Quickie Glue pen again and applied the Sunshiny Yellow Fun Flock for texture. 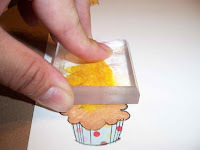 I also used my acrylic block to help press down and make sure that I put all the fun flock onto the area that needed it. I cut it all out, added some Dimensionals and stuck it to the one of the manila tags that I always have lying around for last minute projects. I think that tag also added to the charm of the gift package. Can't see all those "jar in a mix" recipes in these paint cans instead of the traditional jelly jar? HERE's a site I found that has all sorts of mixes you can make for your holifays gifts. 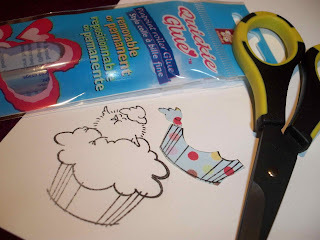 This stamp set can also compliment those fun kraft bags abd gable boxes that you may use for your holiday baking godies. 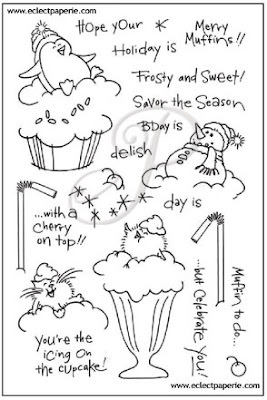 Whether it is muffins, cupcakes or other sweet treats, you'll want to reach for the versatile Merry Muffins stamp set to coordinate with your paper crafts. "Feed Your Creativity" at eclectic Paperie!